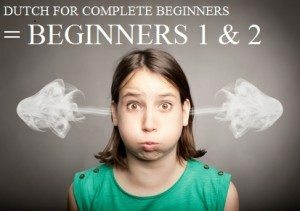 € 118,00 or 8 lessons of 3 hour, 8 weeks, 24 hours in total. 5 lessons of 2 hours, 1 weeks, 10 hours in total ( not for beginners 1&2 ). Learn Dutch Fast and extra materials.